One of our successful MSU Extension programs, Michigan Fresh, is coming to farmers markets across Michigan this summer. The program will provide research-based information on how to select, store, preserve and cook the foods found at the markets. Educators at each location will talk with consumers about Michigan foods and hand out some of the more than 80 fact sheets their team has produced. Michigan Fresh does more than just encourage healthy eating – the program helps support Michigan’s agriculture industry by encouraging consumers to purchase locally grown and produced foods. This helps build a statewide culture of community food systems. For a list of farmers markets that Michigan Fresh representatives will visit this summer, read “Michigan Fresh comes to a farmers market near you” on the MSU Extension website. If you aren’t able to make it to one of the markets listed, you can find Michigan Fresh materials online. You can also follow Michigan Fresh on Facebook and Pinterest, where over 1,800 recipes feature Michigan Fresh foods. Jane is a nationally recognized expert on inland lake management with an emphasis on natural shoreline landscaping and bioengineered shoreline erosion control. She has been a major asset to Extension in the development, delivery and evaluation of regional and statewide water resource Extension programming since she joined Michigan State University Extension in 1996. Jane’s work with ML&SA has been a vital partnership to maintain our natural resources work. Since the 1980s, ML&SA has partnered with MSU Extension to educate waterfront property owners as well as local decision makers on practices and policies to protect Michigan’s 11,000 inland lakes and 36,000 miles of streams and rivers. ML&SA has also provided strong support to statewide partnerships in which MSU Extension provides key leadership, including the Michigan Inland Lakes Partnership and the Michigan Natural Shoreline Partnership. More than 80 teens from across the state experienced and explored various aspects of policy, civic engagement and leadership at the annual 4-H Capitol Experience, March 22-25. High school students gathered in Lansing to begin learning from and interacting with state senators and representatives, chaperones and other youth participants. Over the four-day event, youth participated in a nine-hour Michigan legislative simulation, which required teens to research and propose Senate and House bills, conduct House and Senate leadership position elections, participate in legislative committee meetings, debate and vote on bills, and see their bills signed into law by an acting governor. In addition to the structured simulation, participants observed actual House and Senate sessions, and visited community and state agencies, lobbyists and legislative aides. Involvement in Michigan 4-H and Capitol Experience helps foster skills of leadership and involvement in youth. These experiences can be very beneficial in the development of this age group, said Darren Bagley, Michigan State University Extension educator. 4-H Capitol Experience provides youth with tools, experience and guidance to prepare teens for college and the working world. Objectives of this event include helping youth increase communication, teamwork, citizenship, leadership and skills to help them transition to college and life as an adult; allowing teens to expand career and personal interests while discovering how to be actively involved in influencing policy decisions; and providing youth tools to explore policy issues that may affect individuals and communities. 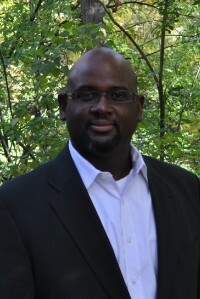 Ever since Richard Wooten took over the interim district coordinator position in District 11 for Michigan State University Extension in August, he has exhibited a strong track record with stakeholders in southeastern Michigan. Because of the unique needs of the district, it was important that we could find an experienced leader to serve in this role for the long term. It has become clear that Richard is the right person for the job. He has accepted a direct appointment, effective April 1. Richard began his tenure with MSU Extension as an educator with the Government and Public Policy Team in the Greening Michigan Institute. It was his decade of experience in land use planning, community and economic development, public policy, and economic development, which set him up to be a great candidate to fill the space. Marie Ruemenapp, outgoing district coordinator, and Edward Scott, district coordinator intern, assist him in building strong relationships with staff members, county officials and stakeholders. District 11 serves the three most populated counties in Michigan. Richard’s experience, expertise and knowledge in the district will help us further our mission. Richard told us that he is excited to have the opportunity to continue building relationships within the district with county government, industry, human service organizations, agribusiness, youth-serving organizations and other potential partners of Macomb, Oakland and Wayne counties. In this new role, he will also have an opportunity to provide guidance, encouragement and support to the work of MSU Extension faculty educators and staff members as they enhance Extension’s mission and programs. Please help me officially welcome Richard to his new position, and thank Marie and Ed for continuing their supportive roles!